Celeste Ng's New York Times bestselling novel, Everything I Never Told You is a profoundly moving story of family, secrets, and longing. The book graced numerous "Best of 2014" lists and earned top honors on Amazon as their Best Book of the Year. In her lectures, Ng addresses how Asian-Americans fit into conversations about race, how people identify, and her own path to becoming a writer. 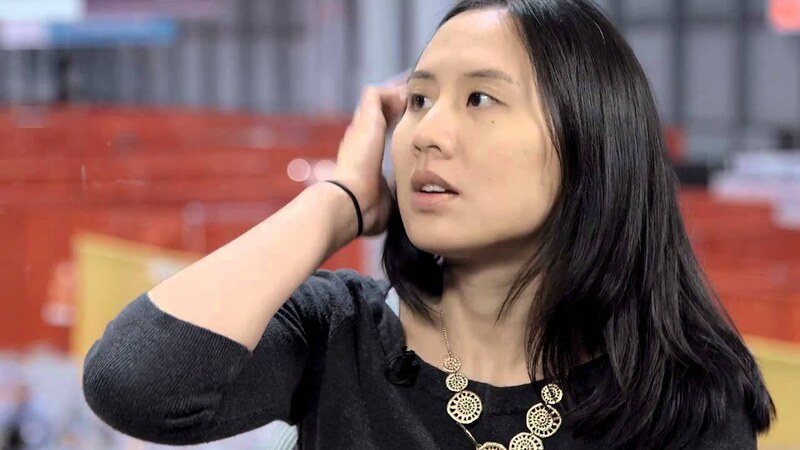 Celeste Ng is the author of the novels Everything I Never Told You and Little Fires Everywhere, both of which were New York Times bestsellers, a New York Times Notable Book for 2014, and Amazon’s #1 and #2 Best Book of the Year for 2014 and 2017, respectively. Everything I Never Told You was also the winner of the 2014-2015 Asian/Pacific American Award for Literature in Adult Fiction. In this literary thriller, Ng tells the story of a Chinese American family living in small-town Ohio in the 1970s whose middle child, Lydia, mysteriously disappears. As the family’s lives are uprooted, they are forced to confront long-held secrets that have been slowly pulling the family apart. Ng revisits issues of family, identity, and community in Little Fires Everywhere, a tense story of a picture-perfect town and family upended by the arrival of an artist and her daughter. In her novel and keynote presentations, Ng deftly explores issues of cultural identity, gender relations, and the struggles faced by multicultural families. Ng grew up in Pittsburgh, Pennsylvania, and Shaker Heights, Ohio, in a family of scientists. She attended Harvard University and earned an MFA from the University of Michigan (now the Helen Zell Writers’ Program at the University of Michigan), where she won the Hopwood Award. Her fiction and essays have appeared in One Story, TriQuarterly, Bellevue Literary Review, the Kenyon Review Online, and elsewhere, and she is a recipient of the Pushcart Prize. Currently, she lives in Cambridge, Massachusetts. This lecture is a discussion of Celeste Ng’s bestselling novel Everything I Never Told You—the story behind the book and the process of writing it. The audience will learn about the real-life seeds of the story as well as where fact and fiction intersect in the novel. 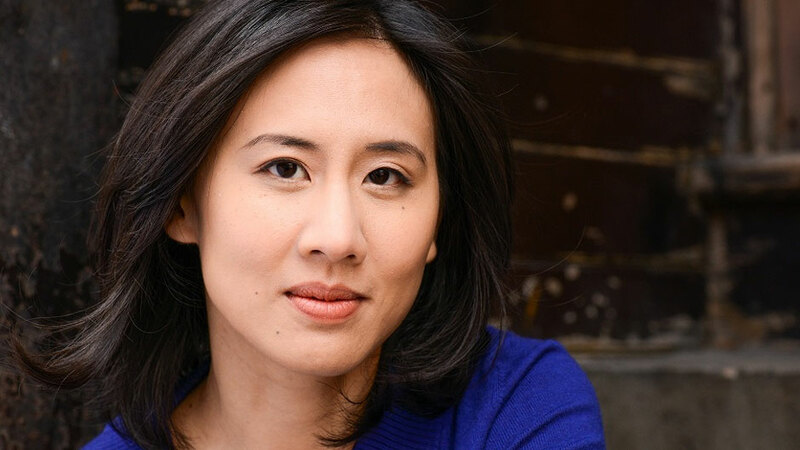 In this talk, Celeste Ng discusses her path to becoming a writer and how growing up in a family of scientists has influenced her work, as well as where she finds inspiration for her stories. Women and men in fiction are often held to very different standards: women characters (and the women who write them) are more often judged on “likability.” In this lecture, Celeste Ng discusses the concept of the “unlikeable” or “difficult” woman, its implications, and the need for creating complex characters. What does it mean to be an “Asian American” writer? In this talk, Celeste Ng discusses her own evolving relationship with the term, as well as larger issues of “ethnic” writing and cultural identity in fiction. Takes unerring aim at upper-middle-class America’s blind spots…a nuanced study of mothers and daughters and the burden of not belonging to our families or our communities. This incandescent portrait of suburbia and family, creativity, and consumerism burns bright… As in Everything I Never Told You, Ng conjures a sense of place and displacement and shows a remarkable ability to see—and reveal—a story from different perspectives. The characters she creates here are wonderfully appealing, and watching their paths connect—like little trails of flame leading inexorably toward one another to create a big inferno—is mesmerizing, casting into new light ideas about creativity and consumerism, parenthood and privilege. With her second novel, Ng further proves she’s a sensitive, insightful writer with a striking ability to illuminate life in America. Ng’s stunning second novel is a multilayered examination of how identities are forged and maintained, how families are formed and friendships tested, and how the notion of motherhood is far more fluid than bloodlines would suggest…[A] tour de force. An intricate and captivating portrait of an eerily perfect suburban town with its dark undertones not-quite-hidden from view and a powerful and suspenseful novel about motherhood…Ng explores the complexities of adoption, surrogacy, abortion, privacy, and class, questioning all the while who earns, who claims, and who loses the right to be called a mother…an impressive accomplishment. Witty, wise and tender. It’s a marvel. A "cleverly crafted, emotionally perceptive debut ... Ng's themes of assimilation are themselves deftly interlaced into a taut tale of ever deepening and quickening suspense." Both a propulsive mystery and a profound examination of a mixed-race family... [an] explosive debut. A]n accomplished debut... It's also heart-wrenching. Ng deftly pulls together the strands of this complex, multigenerational novel. Everything I Never Told You is an engaging work that casts a powerful light on the secrets that have kept an American family together — and that finally end up tearing it apart.